The Parlour at Blagdon, occupies a 2.2 acre site at The Blagdon Estate, and started out as a tea room and ice cream parlour. It’s situated just off the A1 and only 10 miles north of Newcastle, so is very easy to access. 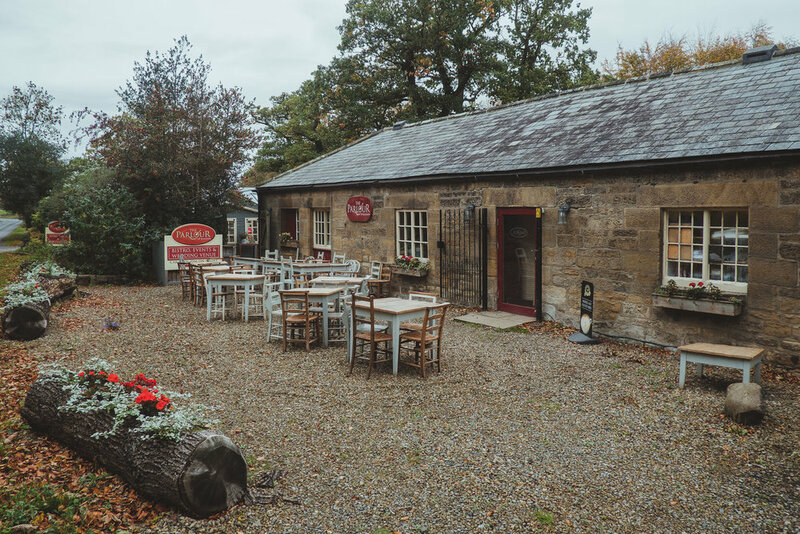 Owned by Carole and Nigel Marcantonio, The Parlour is well-known for its 13 varieties of ice cream, made exclusively from milk from cows on the Blagdon Estate. Since organising 6 weddings in 2014, they now organise over 10 times as many per year. This popularity is built upon a solid reputation, client satisfaction and word of mouth recommendations. The ultra talented and extremely likeable landscape photographer and Youtube sensation Thomas Heaton got married here a couple of years ago. The Parlour at Blagdon is an exclusive wedding venue, which means that you won’t be bumping into members of the public or guests from other weddings on your big day; it’s all yours. There is no accommodation on site at the Parlour, but Shotton Grange is a very short drive away, and is owned by the same company so is an ideal place to stay. Most ceremonies take place within the Smithy, which is a grade 2 listed building. It has a capacity of 90 people. Braver couples may wish to have an outdoor ceremony in the patio area and landscaped gardens. 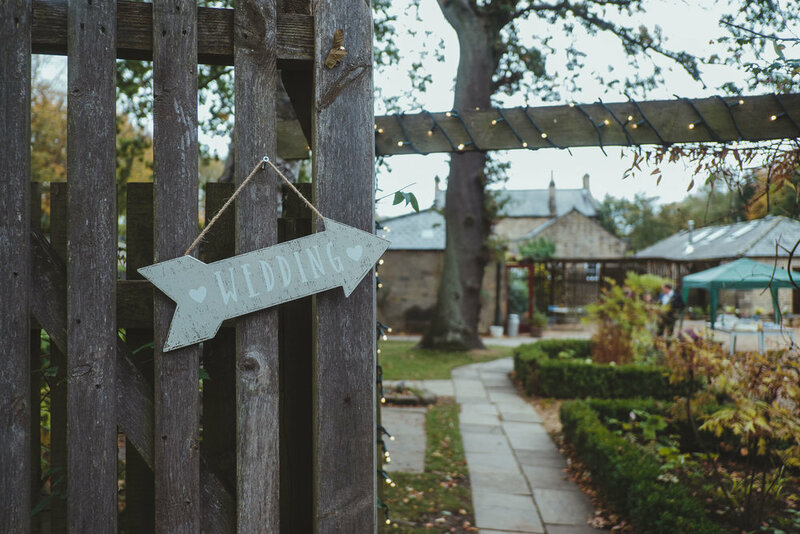 You’ll have your wedding breakfast and evening entertainment in the Willow Room which has decor in keeping with the rest of The Parlour: bare wooden floors and exposed wooden beams strung with bunting. There is a separate bar building and a Garden Room, where many couples put their Photo Booth or create a quiet area for guests to chill out in during the day. All of these relatively small buildings are connected by the gardens and central patio area which is where your guests will spend the majority of their day. The patio area is lit by fire pits in the evenings, and this is where evening caterers often set up if you are having a BBQ. If it rains on your wedding there will be several gazebos on the patio for your guests to shelter under. The Parlour at Blagdon is a compact, rustic venue. The buildings scattered around the pebbled courtyard are full of character, painted in matte duck egg blue or with stone walls, and many have exposed wooden beams. The perimeter of the Parlour is lined with trees, and the ones inside the fence have been wound with fairy lights. There is a smallish field just through the car park that offers a more open space and would be an ideal location for couples portraits, especially with a nice sunset. So with lots of textures, hidden nooks and crannies and a dab of nature, there is plenty for a photographer to work with during the day or at night. If you’d like to take a look at more Northumberland wedding venues, and some of my real weddings from Northumberland, check out my Northumberland weddings page.